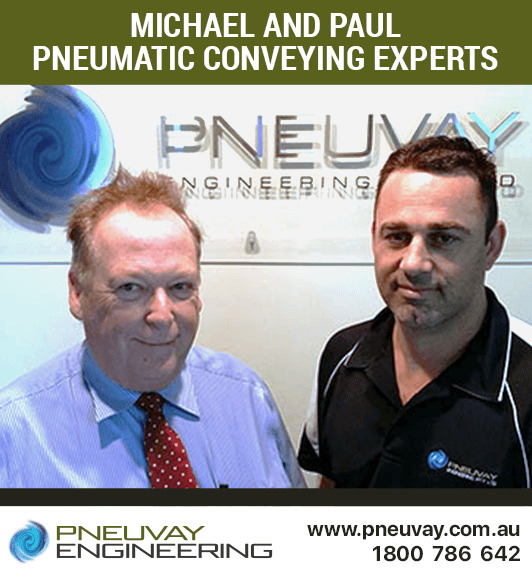 Pneuvay Engineering's Managing Director, Michael Francis (Managing Director) and Paul Malcolm (Engineering Manager) share their expertise in this specialised field by answering these common questions. Read their response to the top five questions asked by industries about pneumatic conveying systems. 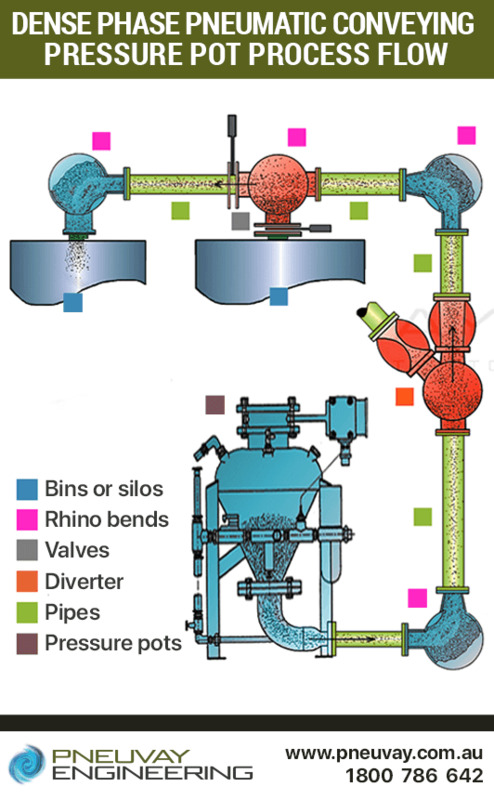 Question #1: What is pneumatic conveying? 'We commonly encounter queries concerning the difference between air volume and air pressure conveyance. At times, systems have been added to or rates have been increased above the original design without performing proper calculations. As a result, the system fails to meet industry expectations and experience blockages and drop in performance." will work best for me? conveying system better than it? system, does it have any disadvantage? 'Pneumatic conveying systems work best at rates up to 100tph. However, inefficiencies may still happen in small pipe lengths or in very high conveying rates. In cases like this, we recommend the use of mechanical conveying systems to maximise the use of direct power. products do you offer industries?